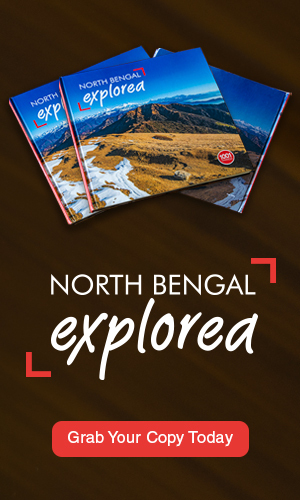 Phalut, Darjeeling - 1001 Things About North Bengal & North East India. The word Phalut is derived from the Lepcha word Fak-Luk, means “Barren Peak”. 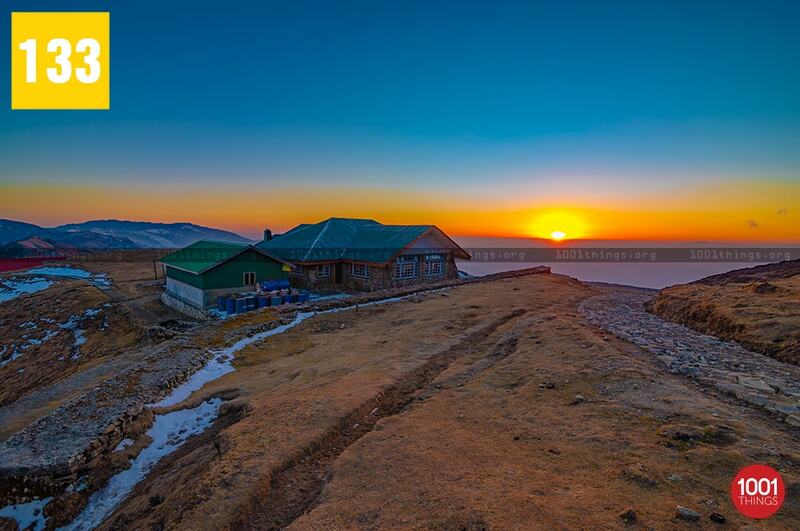 It is the second highest peak in the state of West Bengal, India after Sandakphu. 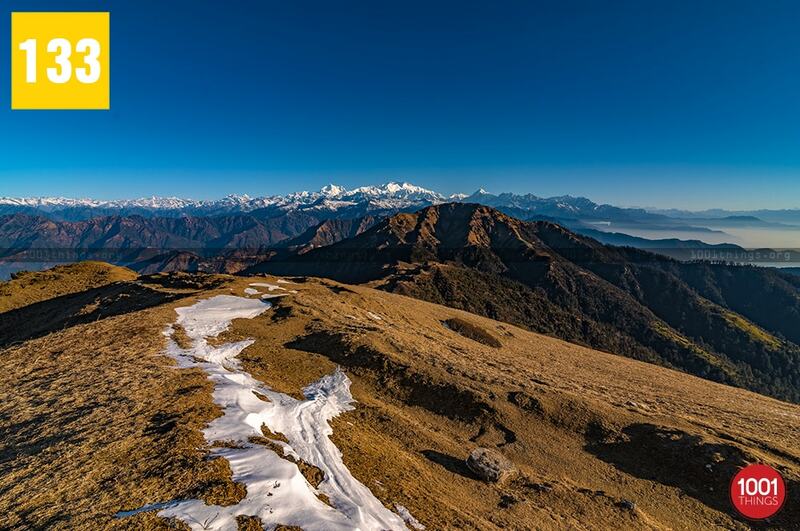 It is situated at the elevation of 3,595 m or 11,811 ft. Phalut is located on the international border between India and Nepal, it is also a border between the two India states of West Bengal and Sikkim. Phalut can be reached either by trekking or by vehicle. 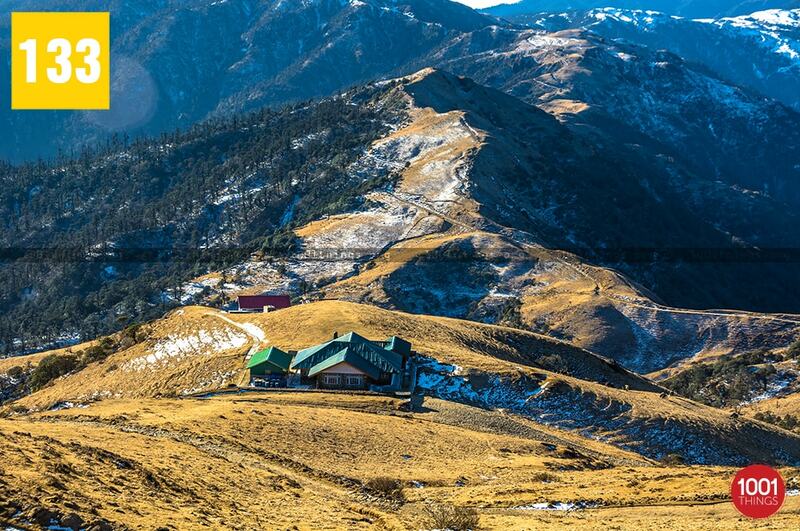 It is about 21 Kms from Sandakphu and 53 Kms from Maneybhanjyang, the base from where the Singalila trek begins. 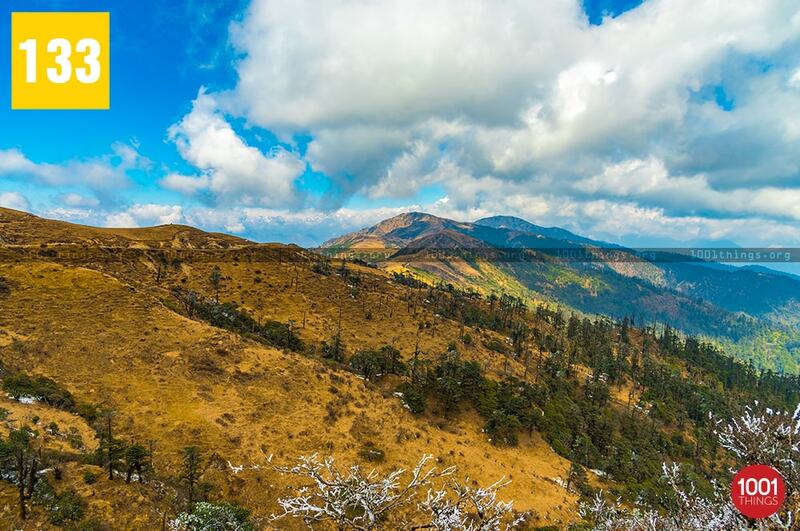 It takes about four days to reach Phalut for a trekker, it is a very beautiful trekking route passing through some dense forest and beautiful little villages like Meghma, Tonglu, Kala-pokhari . There are some trekker huts in some of these villages to stay for a night. 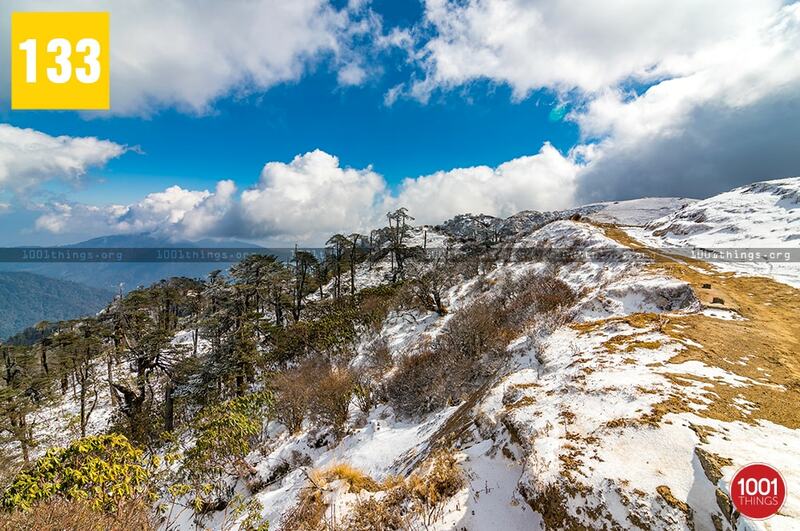 The route between Sandakphu and Phalut is very picturesque. It is one of the most beautiful stretches to trek between the beautiful forest of various species of rhododendrons, oaks, chestnut trees, magnolias and silver firs. 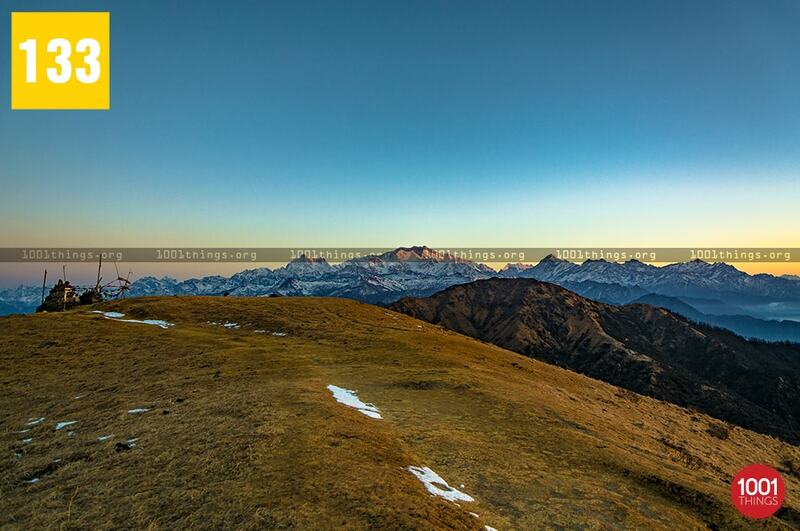 The panoramic view of the mighty Himalayan range is best viewed from this route. The Mount Everest range is seen on the left side and Kanchenjunga range on right. 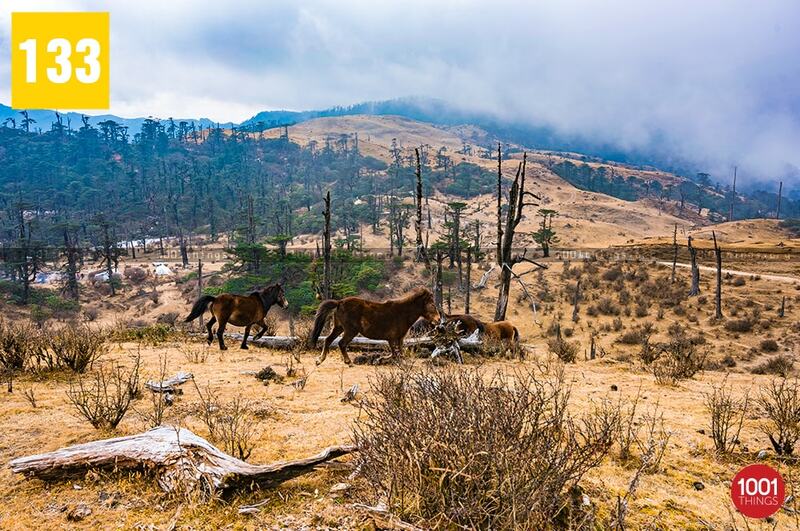 The landscape changes dramatically near Phalut, it is mainly grassland with the broken remains of the trees. The trekkers need to carry along with him water and some food as there is no place for refreshment in between. The last one kilometre near Phalut is very challenging with a very steep climb. The Phalut viewpoint is 2 Kms above the trekker’s hut. The view of Kanchenjunga from here is mesmerising, In fact, the view of the peak seen from here is the closest compared to the entire Singalila range. Kanchenjunga is only 48 Kms flying distance from here. It is one of the best point for viewing sunrise as well as sunset. The native tribes consider Phalut as “Omna Re Ay” or “the God who knows everything” .